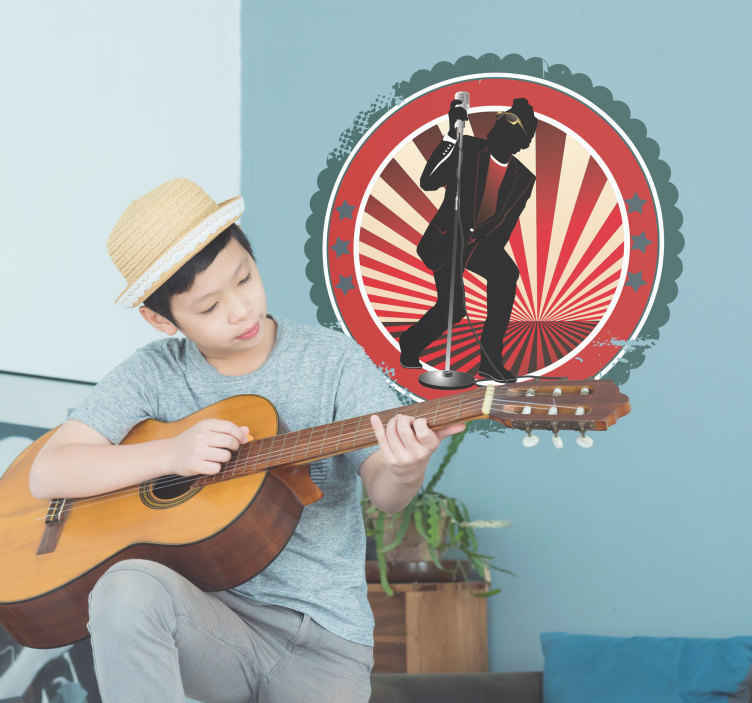 Decorative musical sticker of a vintage rock singer. A perfect wall decal to decorate your walls especially for those that love rock! An interesting silhouette of rock star to make your living room or any room at home look perfect. Are you a big fan of rock? Are you a fan of rock and roll? Then this is the right sticker for you. A very unique and original decal to show your music taste to everyone.